Without a doubt it will make Mom happy. He must love his mom very much to be thinking of her. Too cute! We get quite a collection of dandelions through the summer. Then the dandelions all disappear and the buttercups arrive. It will make her happy and proud. She’s blessed to have a child who thinks of others. Such a sweet photograph! I love this boy’s dear heart. You captured this moment and now it has become timeless, Beth. I couldn’t help but read your title and start singing the theme from Frozen, only slightly amended. So sweet! 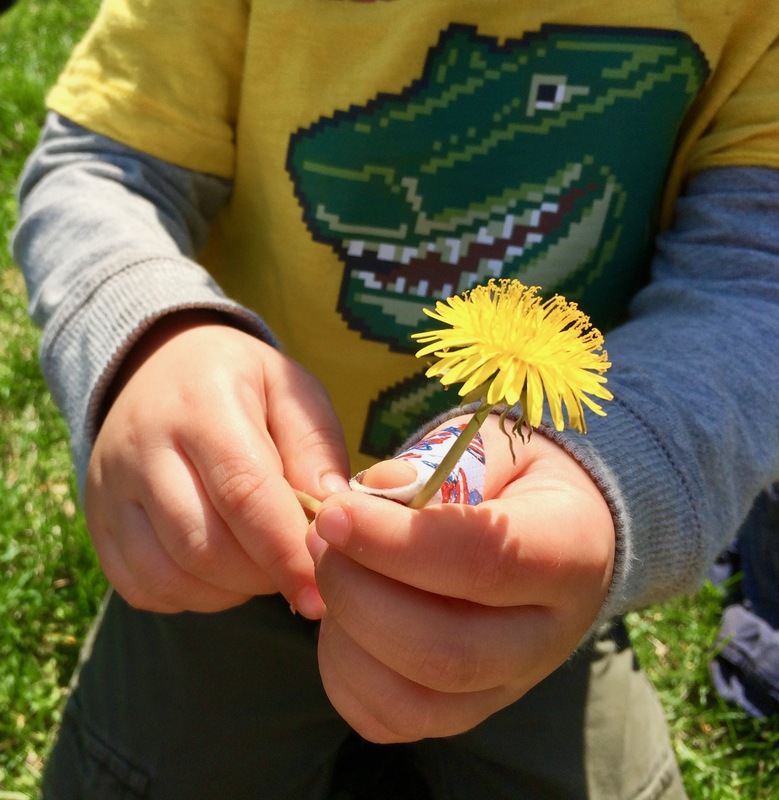 My little boy loves bringing me flowers still, and asks me to make wishes on dandelion fluff. It’s probably what made the dinosaur in his t-shirt grin.